This year many school districts began using statewide assessments that were delivered entirely online. These next generation assessments require students to not only answer multiple-choice questions, but also to use digital tools to solve problems. Rather than answer a multiple choice question about a theme a student might be asked to actually highlight a passage in a text that describes that theme. They might be asked to sort words by the part of speech they represent or use a scientific calculator to compute the answer to a complicated math problem. These tools are intended to provide a richer and more authentic evaluation of the skill of interest. ATI continues to develop features that support next generation online testing with Galileo technology enhanced (TE) items. A scientific calculator is under development and is scheduled for release in the next few weeks. 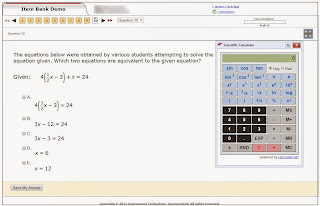 Additional calculators are being developed and are planned for use at different grade levels. Other tools supporting online testing currently under development include strike-through, highlighting, the ability to take notes, and text to speech. These tools are scheduled to be available for use in the 2015-16 school year. The scientific calculator may be made available selectively for use in desired assessments. 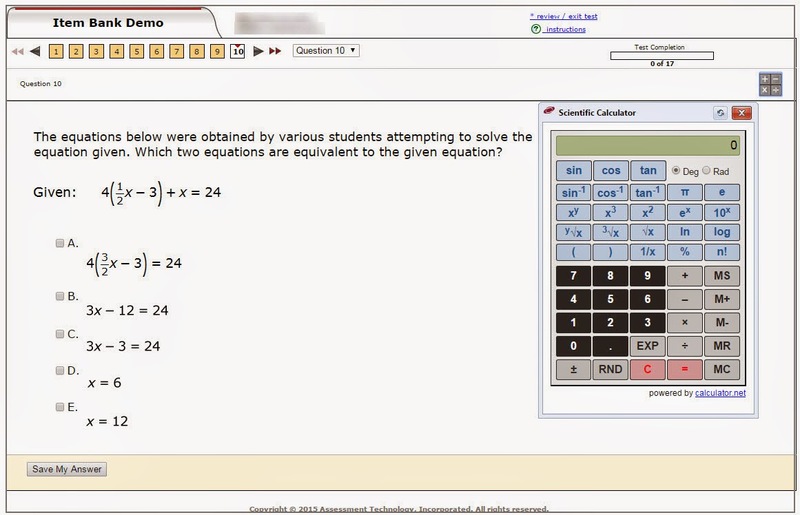 Students will easily access the calculator from an icon in the top right of the assessment item. For more information about how ATI is supporting districts/charters implementing assessment including TE items, schedule a Galileo overview.